"There's a problem - I found another house." Focus Features has debuted a brand new red band trailer for Ciaran Foy's Sinister 2, the sequel to Scott Derrickson's cult horror hit Sinister from 2012. This isn't red band in the conventional sense, but it's red band because it allows them to show you a glimpse of all the crazy, disgusting, weird things that are going to happen in this. The cast includes: Shannyn Sossamon, James Ransone, Tate Ellington, Lucas Jade Zumann, Caden M. Fritz and Jaden Klein; as well as Nicholas King back as the creepy Bughuul. There's some really dark, messed up stuff in here - watch out. 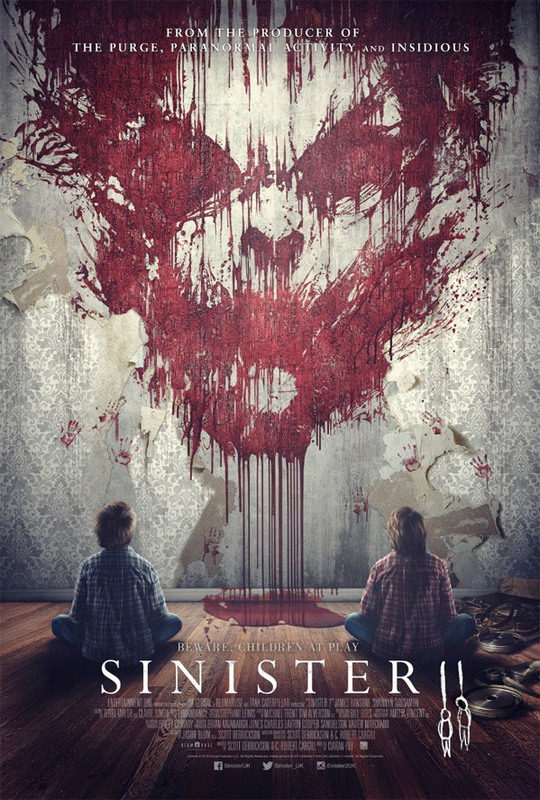 Sinister 2 is directed by Ciaran Foy (Citadel) and written by C. Robert Cargill (Sinister). Story details are limited, but we know the Blumhouse Productions horror sequel will follow Shannyn Sossamon (A Knight's Tale, The End of Love, One Missed Call) as a protective mother (Shannyn Sossamon of “Wayward Pines”) and her 9-year-old twin sons (real-life twin brothers Robert and Dartanian Sloan) find themselves in a rural house marked for death as the evil spirit of Bughuul continues to spread with frightening intensity. James Ransone also returns for the sequel which Focus Features releases the late this summer on August 21st. The first one made my skin crawl, in a good way. I am hoping this one can deliver as well. A little dubious, but I have some hope. Yawn...another boring horror film with loud jump scares.